In July 2011 we kindly had two Derby porcelain plates donated to the Enlightenment! project. Both plates have a Derbyshire scene and are named ‘Lower Brook Bredsall [sic], Derbyshire’ and ‘View of Worksworth [sic] Moor, Derbyshire’. The plates were painted by Zachariah Boreman (1738 – 1810) in around 1790. Derby Museum and Art Gallery have the original Zachariah Boreman watercolour designs for these plates, which are on loan from Derbyshire Archaeological Society. According to Samuel Keys, an apprentice and then gilder at Derby porcelain from c.1785 – 1830, Zachariah Boreman ‘excelled in landscape painting, and was on intimate terms with Mr Wright, the celebrated artist’. 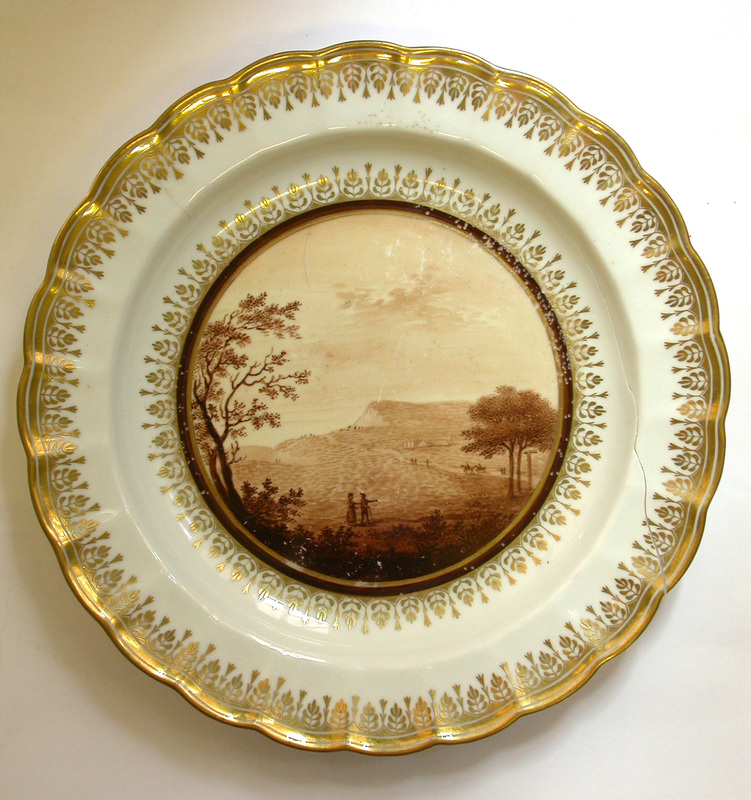 Earlier this year we bought a plate also dating from the 1790s that was painted by Zachariah Boreman, take a look here.